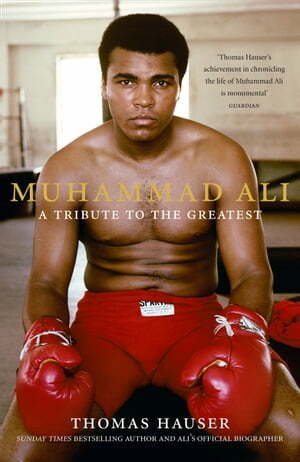 Collins Booksellers - Muhammad Ali: A Tribute to the Greatest by Thomas Hauser, 9780008152468. Buy this book online. Pulitzer prize nominee and William Hill award-winning writer Thomas Hauser’s tribute to Ali, the greatest sporting icon the world has ever seen. Few global personalities have commanded an all-encompassing sporting and cultural audience like Muhammad Ali. Many have tried to interpret in words his impact and legacy. Now, Muhammad Ali: A Tribute to the Greatest allows us to more fully appreciate the truth and understand both the man and the ways in which he helped recalibrate how the world perceives its transcendent figures. In this companion volume to his seminal biography of Ali, New York Times bestselling author Thomas Hauser provides an updated retrospective of Ali’s life. Relying on personal insights, interviews with close associates and other contemporaries of Ali, and memories gathered over the course of decades on the cutting edge of boxing journalism, Hauser explores Ali in detail inside and outside the ring. Muhammad Ali has attained mythical status. But in recent years, he has been subjected to an image makeover by corporate America as it seeks to homogenise the electrifying nature of his persona. Hauser argues that there has been a deliberate distortion of what Ali believed, said, and stood for, and that making Ali more presentable for advertising purposes by sanitising his legacy is a disservice to history and to Ali himself. Muhammad Ali: A Tribute to the Greatest strips away the revisionism to reveal the true Ali, and, through Hauser’s assembled writing and hitherto unpublished essays, recounts the life journey of a man universally recognised as a unique and treasured world icon.